We are offering two exciting workshops for library directors and trustees. Join us for one or both! 10:00-12:00 pm: Employment Pitfalls for the Unwary Employer. Learn about the most common (and costly) pitfalls that employers face today. 12:30-2:00 pm: Advocacy Everyday. Every library, every librarian, every trustee, and every patron has a role to play in speaking up for libraries. How will you speak up for your library? Lorisa LaRocca is a Partner in the Labor & Employment Department at Woods, Oviatt, Gilman where she concentrates her practice in all areas of labor and employment counseling and litigation, as well as employment based immigration. She routinely counsels employers on all employment related matters, trains clients and their employees on how to properly handle harassment and discrimination related issues, counsels and represents clients in Division of Human Rights, Equal Employment Opportunity Commission and Department of Labor investigations and audits, drafts and reviews employee handbooks, employment applications and other employment related policies. Having served as Deputy Director of NYLA from 2005 – ‘08, Johannesen left to lead the NYS Alliance for Arts Education. 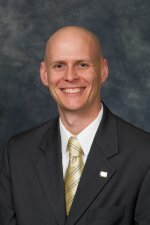 Jeremy returned to NYLA in 2012, assuming the role of Executive Director. Johannesen holds his BS in Arts Education from the College of Saint Rose, and is an active leader in Cub Scout Pack 232.